I believe that maintaining an interest in asymmetric warfare is a healthy habit. The Rhodesian Bush War and South African Border War are particularly interesting, as both sides employed direct, unconventional means. 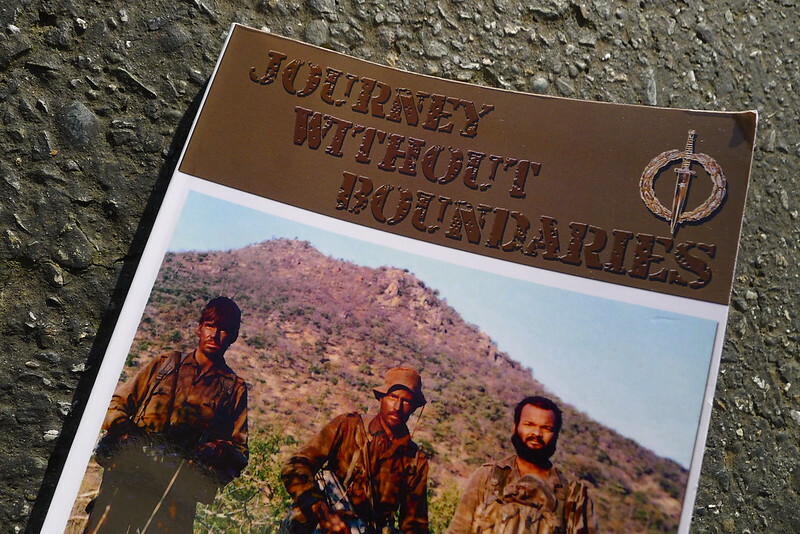 I am currently reading Journey Without Boundaries: The Operational Life and Experiences of a SA Special Forces Small Team Operator, the memoirs of Colonel Andre Diedericks. Diedericks joined the South African Defence Force in 1974 and served in their Special Forces for two decades. Taking inspiration from Rhodesia’s Selous Scouts, he was largely responsible for developing and implementing small team tactics in the South African Recces. These “small teams” are not the 12 man ODAs we think of with our Special Forces today. Diedericks’ small teams consisted of only two men. Their missions would last a month or longer, during which time they would be completely self-sufficient and travel hundreds of kilometres on foot. Their operations were deniable, which required them to remain completely hidden from both the enemy force and local population. Journey Without Boundaries joins The Jedburghs by Will Irwin and The Phantom Major by Virginia Cowles as being an excellent read for tracking the development of unconventional warfare. This post was published on 2013-05-01 . It was modified on 2013-05-01 . It was tagged with books, conflict.